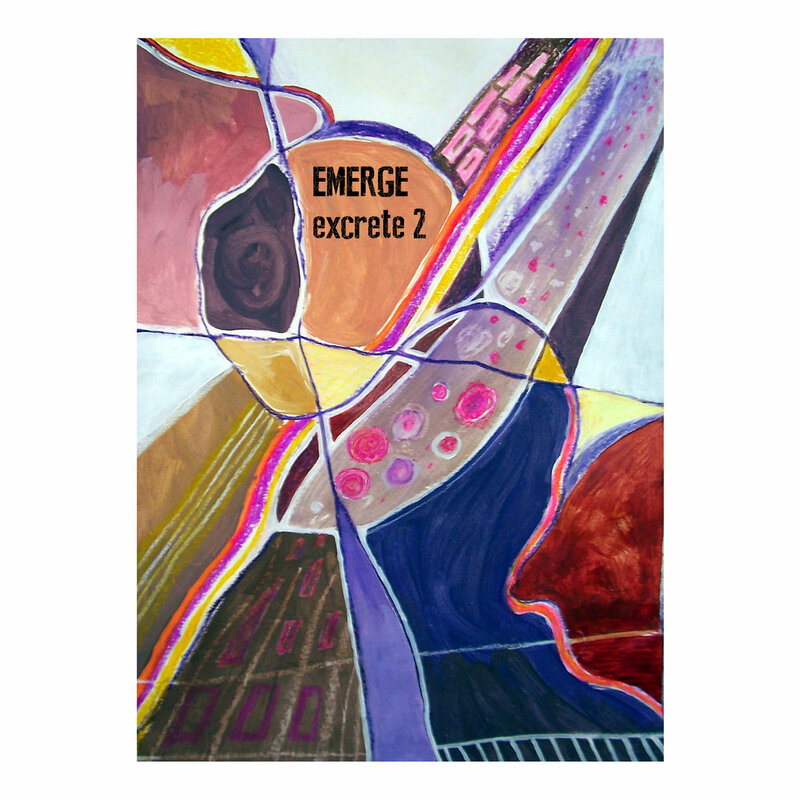 “Excrete 2” is the second in a series of five long-form pieces by EMERGE, each released as a cassette in its own right. Each about 55 minutes long, the subdued, minimalist approach of the pieces and their extremely long duration when listened to in their entirety, feels like an attempt to translate the specific temporal and experiential quality of Morton Feldman’s music, or of some sound installations, into the idiom of electroacoustic music. “Excrete 2” has some major surprises for the listener. The monochrome, microtonal plains already outlined in part 1 of the cycle are interspersed with islands of harmonic figures that sound like string tutti extracted from some lush orchestral composition. For all the surprise they offer, they do not feel out of place in this otherwise truly reductionist music, but bring a sense of wonder as to how the seemingly ‘natural’ unfolding of frequencies that is at work here could create such beautiful quirks.